Experience Oilers Hockey Like Never Before! Premium hospitality areas are available for every home game! There’s no better way to watch a game. 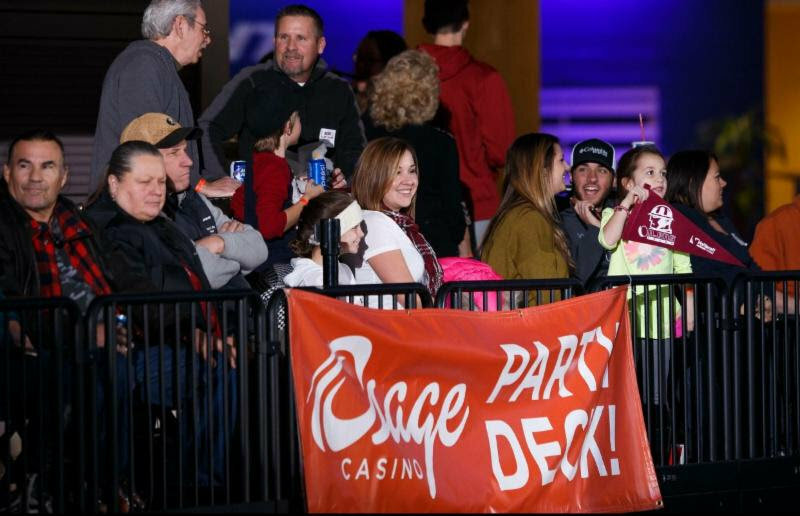 Luxury Suites are located on the premium level, | Only 21 rows above the event floor | Offers the ultimate premium viewing location in BOK Center. | With top of the line amenities, | Luxury suites are the best way to entertain clients and business associates. | Seating 20 people | The ultimate premium viewing location in BOK Center. Click here for: Suite Menu. Choose the discount and seating area you want to receive here. 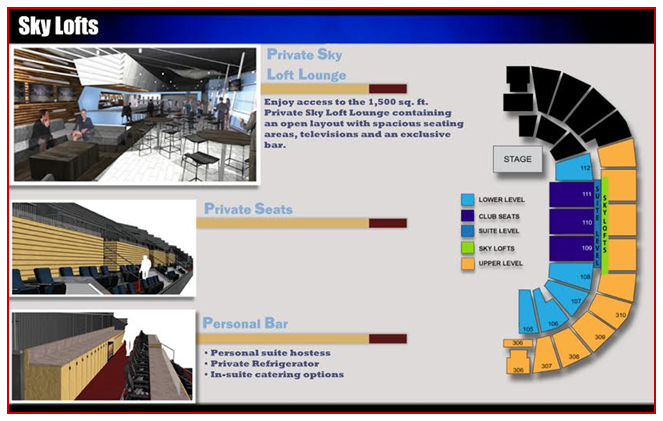 Click here for: Sky Loft Menu. Jason Christie: Four letter league, he’ll be out there, we’re only allowed so many guys to dress. If you’re you better be ready to go. There’s no shifts off, that’s for sure. Jeff Brucculeri: Of course, he’s coming in because of the departure of Aaron Harstad going up to Manitoba. Pretty nice for him, getting called up. Jason Christie: That’s good, that’s one thing Winnipeg does is move their players and that’s awesome. Everybody gets opportunities. Any time you see a guy go up and have success at the next level it’s a good thing but with him gone it allows us to put somebody else in the lineup. Obviously Connor’s ready to go. Jeff Brucculeri: A solid defenceman, Harstad, even though this is the nature of the business he needs to move up and progress, it kind of hurts the Oilers a little bit, losing a good player like that on D.
Jason Christie: No question, but you have to have backup. You have guys given opportunities, there’s time to wrap their arms around it and be ready to play. Jeff Brucculeri: All righty. Coach, go get them. Jeff Brucculeri: Back with the opening face off and more in just a moment. You’re listening to Tulsa Oilers hockey. One Oak: One Oklahoma fortune 500 company, with a presence in more than one dozen states. More than 100 years and 4,500 people strong. Specializing in gathering, processing, transporting, storing, marketing and distributing natural gas and natural gas liquids. Providing the energy to meet our states and nations needs, while protecting the environment and giving back to its communities. Delivering safe, reliable and clean burning products, along with services, at a value. This one company is One Oak. The one in energy. Speaker 8: You want to buy a house, big yard, safe neighborhood, wood floors. There, perfect. You need a loan from someone you can trust. With the stability of a big bank, but the customer service of a local bank. That’s when you find us. Getting the process started with us is easy and convenient, online from home in your slippers or in person, it’s your choice. Our attentive team of mortgage bankers will make sure the process goes smoothly, so you can get to closing on time. That’s why we have local operation staff on site. To help push the loan through as quickly as possible, so you get that shiny new key. The smile you make when you open your door for the first time is the reason we get up in the morning. Making a house someone’s home is why we exist. Call, stop by, or visit us online for a free pre-qualification or to get started today. 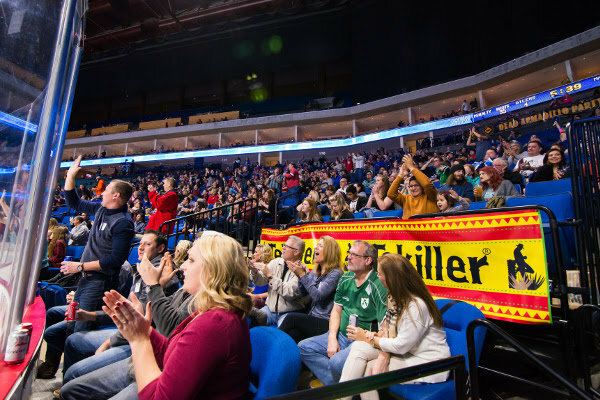 Jeff Brucculeri: Back with you here in Rapid City lets give you the starting lineups for tonight’s game between the Tulsa Oilers and the Rapid City Rush. Starting for the Rush across the front line will be Daniel Barczuk, Mikhail Stefanovich, and also the other forward is Destry Straight. The two defencemen will be Brett Kostolansky and Taylor Doherty and it goal tonight, Danny Battochio. We saw Sam Marotta the other night in goal for the Rush, tonight Battochio gets the call. He has played in 16 games with a record of 8-6-2. A 2.80 GAA and a 91% save percentage for Battochio. Starting for the Tulsa Oilers across the front line, Axel Blomqvist, Christophe Lalancette and Adam Pleshkach. The two defencemen will be Natahn Lutz and Mathieu Brisebois. The starting goaltender tonight, once again, for the Tulsa Oilers, starting in goal, Kevin Carr. Who has now played in 20 games so far this season with a record of 12-7-1. Carr has a goals against average of 1.85 and a 92.6% save percentage. I’ll tell you, Carr ranks among the best in the ECHL, in fact in the last 15 games, Carr has started in each of the last 15 games for Tulsa, he ranks fourth in the ECHL in wins so far this season and also his GAA is just miserly, folks. It’s just wonderful statistics for Kevin Carr. Hopefully it’ll continue here tonight for the Tulsa Oilers in this matchup with the Rapid City Rush. They do things a little bit different here and that’s why I brought it back after that break, they have not done the National Anthem just yet. They will get to that soon and when they do we’ll take anther break here. The Rapid City Rush are a team that do not give up a lot of power-play opportunities as I mentioned the other night. In fact, they’ve got a very low number of penalty kills, so to speak, because they take very few penalties. They don’t give up that many opportunities to their opponenets. The Rush, in fact, held Tulsa to 0-2 on the power-play on Thursday night. The Rush, in fact, not only have conceded the fewest number of power-plays to their opponent, only 85, they’ve also conceded the fewest power-play goals in the ECHL. They’ve only given up 11 power-play goals this season in 28 games. They are very very stingy on the power-play opportunities for their opponents. Hopefully Tulsa can capitalize on that tonight and again, Tulsa was 0-2 on power-play chances on Thursday night but generally speaking the Oilers have a pretty good power-play unit. They are 13.7% on the power-play. The Oilers are 26th in the league in power-play opportunities while the Rush are third in penalty kills. Tulsa is tenth in penalty killing so far this season, 84.3%, while the Rush is 24th in power-play opportunities, 14.3%. We’ll take a break, we’ll come back with the opening face off as we continue. You’re listening to Tulsa Oilers hockey.